Hello there, Friends! I hope you all had a Happy Halloween! 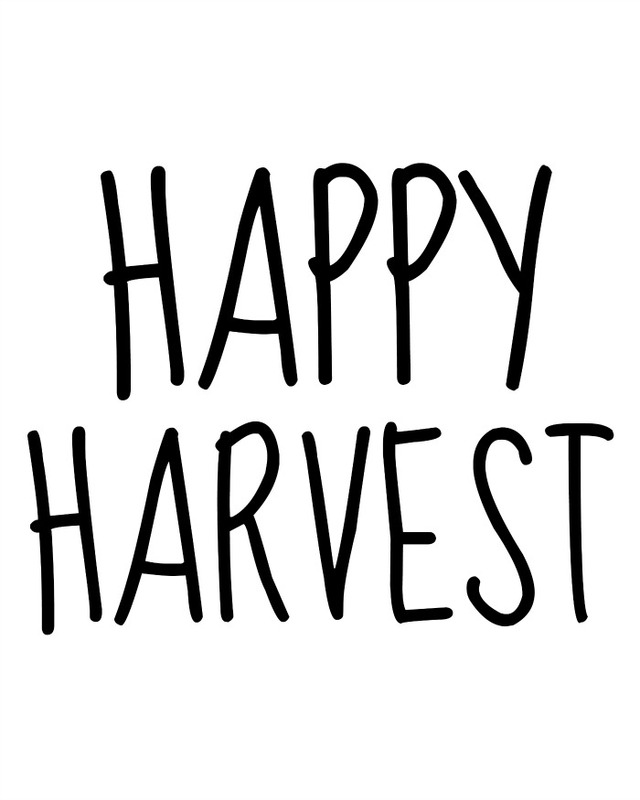 Lucky for us, our boys are young enough that they pooped out early enough to make it home to watch the Royals play in the World Series…We’ve had many a sleepless night watching our boys in blue! Such an exciting time for my hometown! Now that Halloween is over, I see Christmas stuff popping up all over the place…I’m just not ready for that. 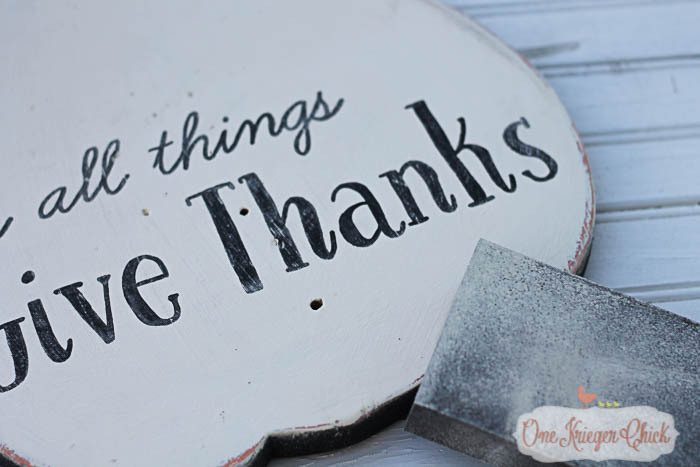 I LOVE Fall and November and all the thanks and giving. 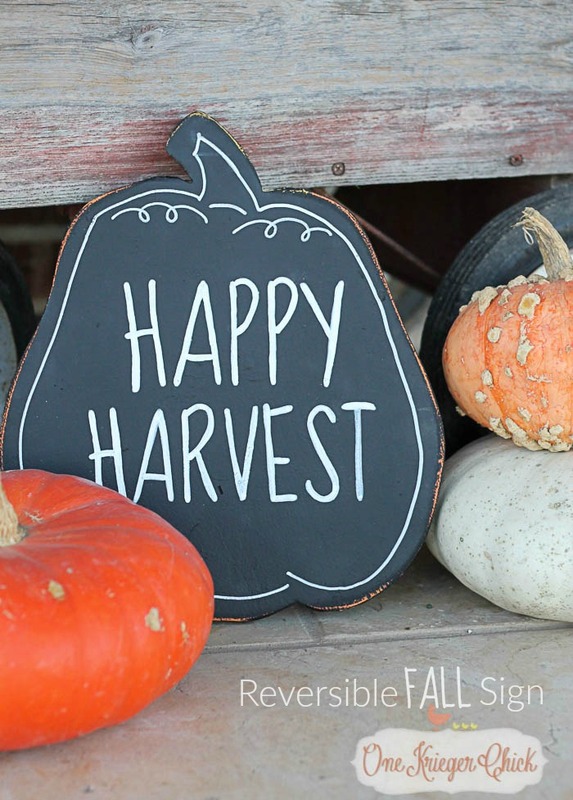 A couple weeks ago, I shared this festive reversible sign over at Kansas Farm Living Magazine and couldn’t resist sharing with all of you! 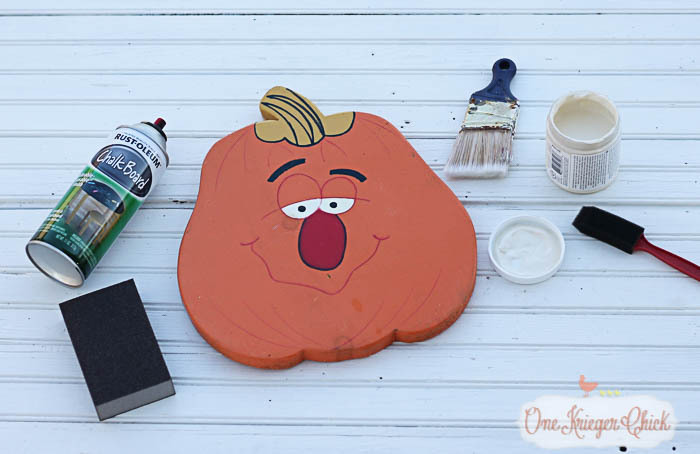 Here’s what I started with…A wooden pumpkin that was gifted to me, chalkboard spray paint, cream color chalk paint, and a sanding block. I’ll share the other supplies I used along the way. Now, I don’t expect that all of you have a funny face pumpkin decor sitting around like I did. 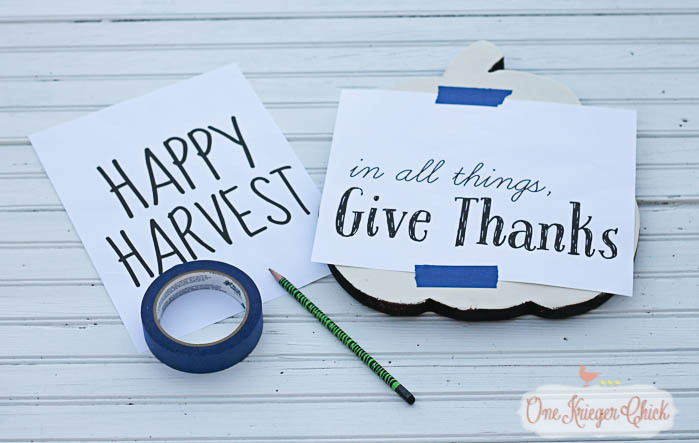 Not to worry- You most definitely can cut a pumpkin shape out of wood, or use an 8-10 inch wide piece of scrap wood. Whatever wood you choose to use, sand it down a bit. 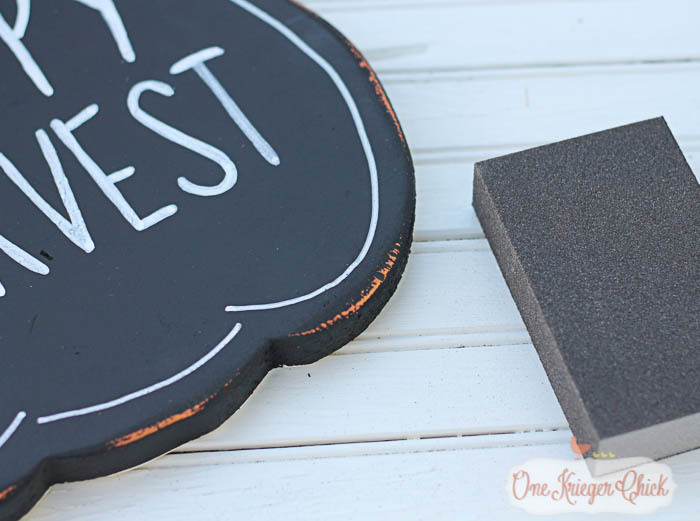 Wipe off all the sanding particles and give one side of the board two light coats of chalkboard spray paint. I spray one direction the first time, then go over the first coat in the opposite direction for the second coat. 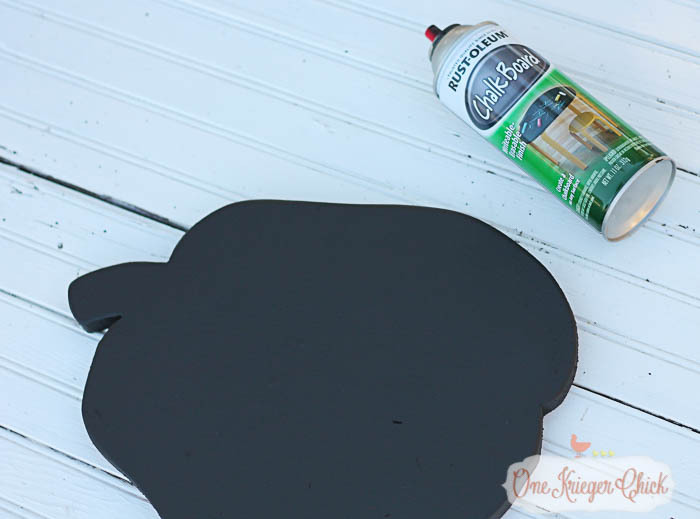 Once the chalkboard paint has dries, flip the board over and paint the other side with cream colored chalk paint. 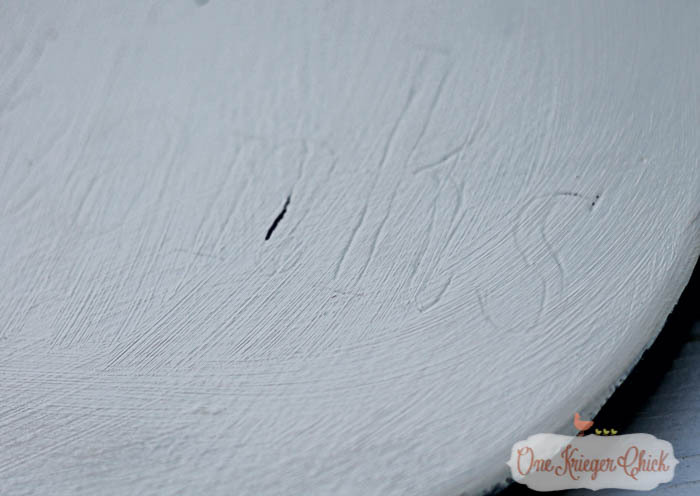 Any cream colored paint will do- I happened to have this color on hand and really like the coverage of chalk paint. I applied two coats to achieve the desired coverage. Now for the most time consuming part of the entire project- applying the stencil. 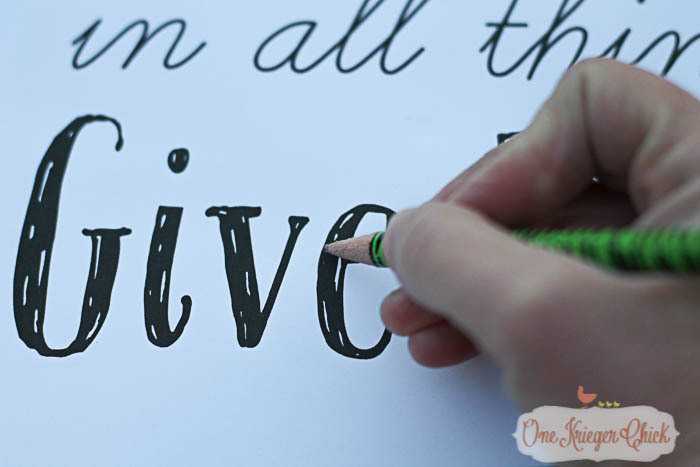 One of the most common question I get about crafting is “How can I make cute signs if my handwriting is bad?” Well, here’s one of my tricks for faking good handwriting…templates are included too! 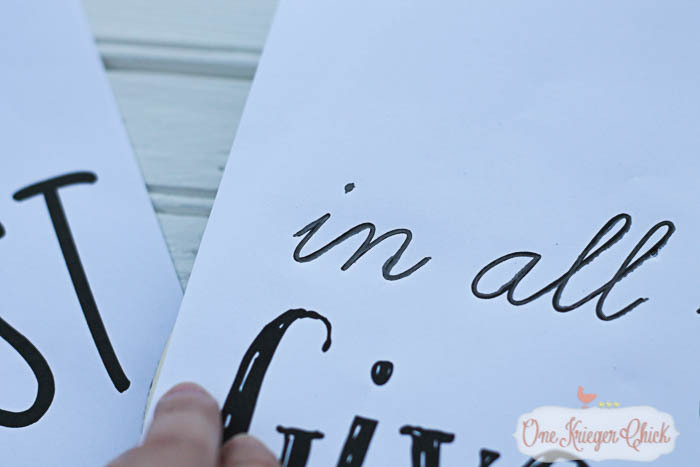 Print off the word or words you would like to apply to your sign. I used a free website called picmonkey.com to design these to fit the pumpkin. The templates will also fit a 8-10 in wide board. 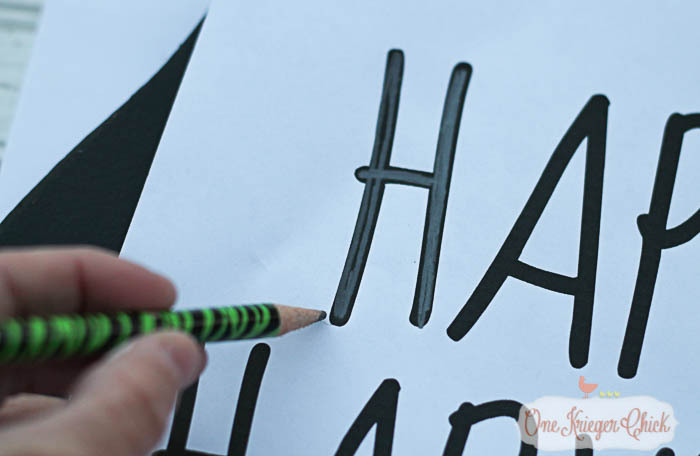 Tape the template to the background, then press very firmly over each letter. If a pencil does not add enough of an impression into the wood, use a ball point pen. It should leave an impression in the wood like this. It doesn’t show up as clearly in a picture. Next, trace over the impression with a permanent black marker. I used a chalk marker, but any permanent black marker will be perfect. I traced over the black lines twice. 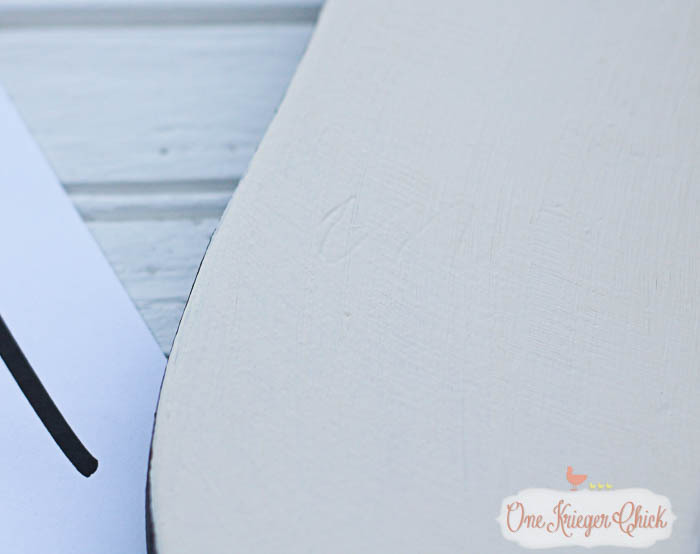 For the chalkboard side, I went over the impression with a white chalk marker. I also added a little detail, which can be seen in the final project. 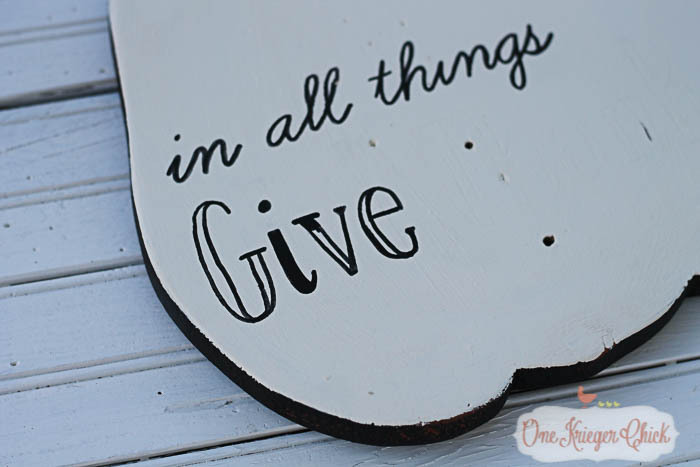 I wanted a little more aged look, so I sanded the edges of both sides of the sign with a sanding block. I also added a little detail around the edges…completely optional- decorate it how you like! Wipe the dust off and that’s it! 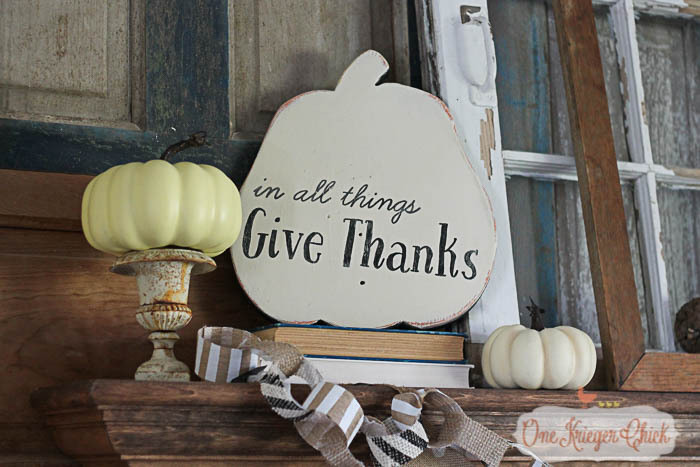 Perfect on display with some pumpkins…for Fall and Thanksgiving. 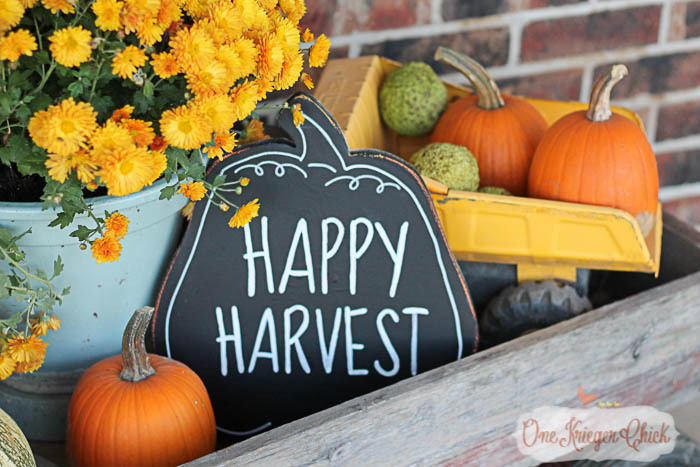 Or a darling little sign on the porch mixed in with mums, pumpkins, and gourds…either way, It can be used as decoration all Fall. 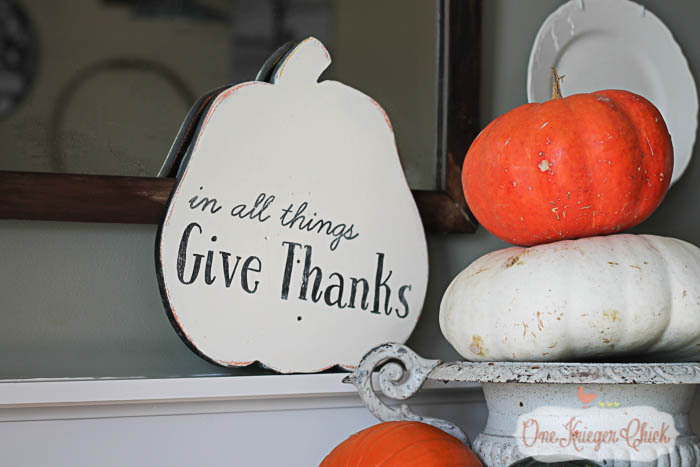 See how I added an outline around the pumpkin? 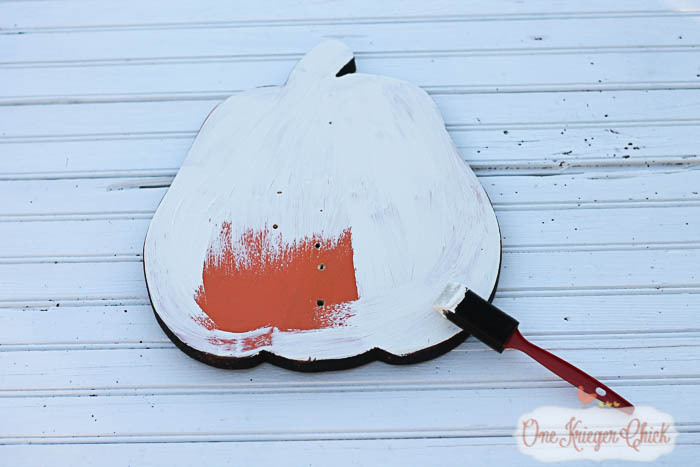 If you paint a board, drawing an outline like this would give the board the illusion of a pumpkin shape. The perfect touch to any front porch. If you’d like to use the templates featured, download these, print them off and use as shown.